After months of negotiations, the United States and Turkey have agreed on a plan to train and equip moderate Syrian rebels in the battle against Islamic State militants. In addition to Turkey hosting rebels on its soil, Jordan, Qatar and Saudi Arabia will also take part. Signed on Thursday, the program could begin as early as March. "The agreement was signed by the foreign ministry undersecretary and the US ambassador," a US official told Reuters. The Turkish Foreign Ministry undersecretary Feridun Sinirlioglu called the deal "an important step" in the strategic partnership between Ankara and the US, the Associated Press reported. The crux of the plan hinges on America’s ability to successfully identify what it defines as the “moderate opposition” in Syria. Although Congress overwhelmingly approved the train-and-equip strategy in December, it has been unclear exactly what groups the US and its allies want to arm. Some groups that have been highlighted in the past turned out to be more radical than initially thought, while others are just as interested, if not more so, in fighting embattled Syrian President Bashar Assad as they are the Islamic State (IS, also known as ISIS or ISIL). According to NPR’s Tom Bowman, the US is planning to implement an intense vetting program before deciding which rebel groups to train and equip. 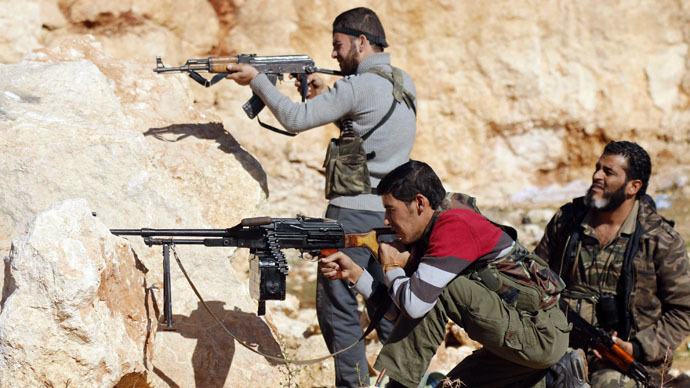 Negotiations between the US and Turkey on this issue have been tense, as Ankara has generally insisted that efforts to battle ISIS need to also target Assad’s government in Syria, even suggesting that trained rebels could eventually target Assad. The US has so far strained to avoid entangling itself in Syria’s ongoing civil war, but concerns have been raised that training forces that have pledged to battle Assad could drag it into the conflict anyway. News of the training agreement between the US and Turkey also comes one day after the Wall Street Journal reported that America is planning to give moderate Syrian rebels the ability to call-in airstrikes against IS from the ground. The plan is reportedly part of the train-and-equip strategy, and would also provide rebels with equipment like armored pickup trucks and weaponry. This plan further raises numerous issues, such as what happens if rebels call-in strikes against Assad’s forces instead of ISIS. Officials told WSJ that they were still wrestling with such a scenario, particularly if the rebels supported by the US become engaged in a fight against Syrian troops, but so far that idea has not been approved. Military officials have also acknowledged that controlling the behavior of rebels once they are on the battlefield will be difficult.